As a result of our experience and expertise in building acoustics, noise assessments and remedial acoustic design of existing buildings we are frequently required to provide expert witness representation in civil and criminal courts, planning applications and appeals, public inquiries and even select committees. One of AJA’s first projects was to co-ordinate expert witness evidence on train and construction noise for the House of Lords’ Select Committee on the Channel Tunnel Rail Link. More recently, we were appointed by Essex and Hertfordshire County Councils to address the issue of aircraft noise affecting schools at the Stansted Airport G2 Inquiry. We assessed aircraft noise at 80 schools and drafted proofs of evidence for what would have been a fascinating case if only BAA had not withdrawn their application before the Inquiry began. Expert witness work isn’t all about transportation noise. We have presented evidence on sound insulation to demonstrate that it was simply not practicable for a music venue to comply with a noise abatement notice where the local authority had given planning consent for a dwelling next door to the venue. We have shown that a studio designer’s report on noise transmission was so badly flawed that his witness statement and the case which it supported were withdrawn. 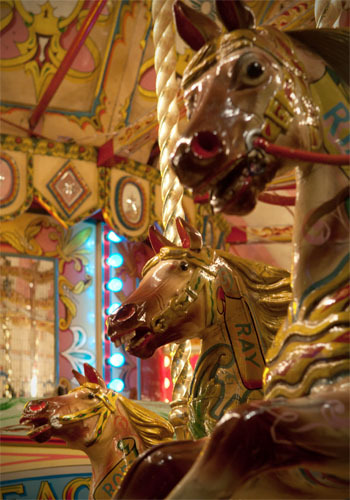 Closer to home our evidence on noise from a barrel organ recently led a Planning Inspector to overturn a local authority’s refusal to allow a set of Victorian Gallopers at a steam railway station. Our client was awarded full costs for the appeal. We have recently provided single joint expert witness services for a considerable number of cases relating to noise-induced hearing loss. We also provide representation at SEND Tribunals. Follow this link for more details.